Help! How Do I Design for a Small Kitchen? So you go to your local IKEA. See a fantastic showroom kitchen. And then you need to figure out how to get it into your place. This happened to my friend Esther when she was renovating her two room condo in Connecticut. In the showroom, the BODBYN kitchen, which she told me she totally loved, was massive. And I mean seriously massive: it was at least twice the size of her place. Still, she told me she wanted that minimalist, clean, Scandinavian design. She’d already decided she wanted pale blue walls and white Italian tiles, to make it feel more roomy: the BODBYN kitchen would match perfectly. We love creating kitchen designs for small spaces. Why? Because creativity is the key to making a small kitchen work for you. And creative is fun! Here are some of our favorite creative hacks to get the most out of your small kitchen. What can you do with small spaces in your IKEA kitchen? The GNOSJO, ABSTRAKT, LIDINGO white, ORSA Birch, RAMSJO, ROCKHAMMAR, SOFIELUND and ADEL off-white doors from IKEA were discontinued by the manufacturer after the date this article was published. So, after trying lots of different cabinet sizes in your design, there’s still 6”, 7” or 9” of empty space left over. 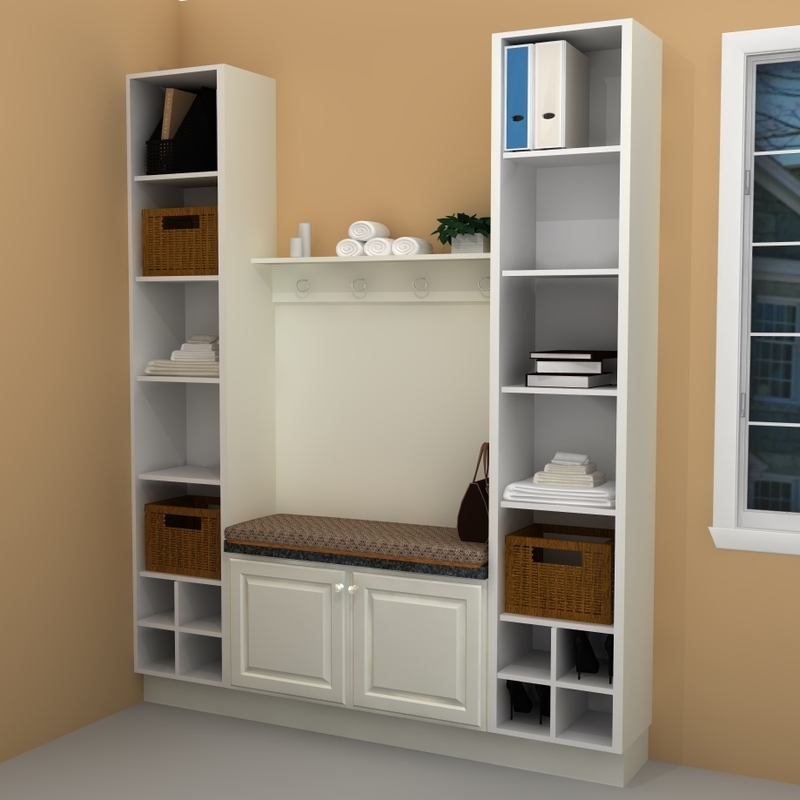 This could happen with either base or wall cabinets, since a 12” width is IKEA’s smallest and sometimes we just need a different size to make it all fit nicely. Why lose all that storage space? Most folks cover this perfectly usable space with fillers or panels. I’d say it’s not worth it if you’re going to lose more than 3″ of available wall space. Small kitchens don’t need big budgets. This condo kitchen needed a makeover and the homeowners needed to see if their design ideas were on track. They had played with a design on IKEA’s Home Planner but at the end decided that they would be better off by leaving it to an expert. This is how they found out about IKD! Working with IKDO is much easier than trying to learn how to use IKEA’s Home Planner. The total budget for this IKEA kitchen remodel ended up at $7173, including appliances, cabinets, panels, accessories and hardware. Cookie sheets, baking pans, and serving trays are sometimes a challenge to store and organize in any kitchen. What you need is a storage solution for your baking trays that’s affordable and simple! If you lay them down on a single shelf, other things are bound to get set down on top of them, and then it’s hard to get to them easily. If you lay them on top of other things, their size and shape may cause things to slide around, and set off a small kitchen avalanche. Adding additional vertical shelves to store your baking trays more efficiently is a simple solution. The next time you feel bored with your kitchen, consider opening things up with open shelves. These open shelving ideas from IKEA in stainless steel will add functionality and keep your walls uncluttered. Open storage is the favorite of many, you can mix and match materials, textures and colors. Stainless steel IKEA shelves compliment appliances and help modernize a kitchen.